The artists in this exhibition explore relationships with nature in many ways, from meditations on what we have and stand to lose, to evidence of the impacts we have already made on our environment. Far from depictions of horrific scenes or propaganda, these pieces are quiet invitations that ask the viewer to consider beauty, land, and loss. They are unflinching mirrors and humane elegies that create a space for deliberation and ask us to shake off the dust of inactivity and move beyond despair. Works in this exhibit have been selected by juror Joshua White. White, along with artists Daniel Kariko and Jennifer Anderson Printz, will give a talk about the show as part of the exhibition reception. 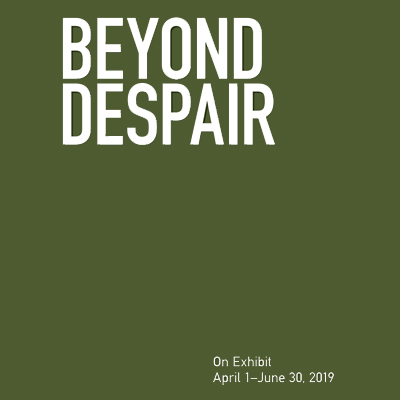 "Beyond Despair" is presented in partnership with the Visual Art Exchange as part of an ongoing program to feature the work of artists living and working in North Carolina.